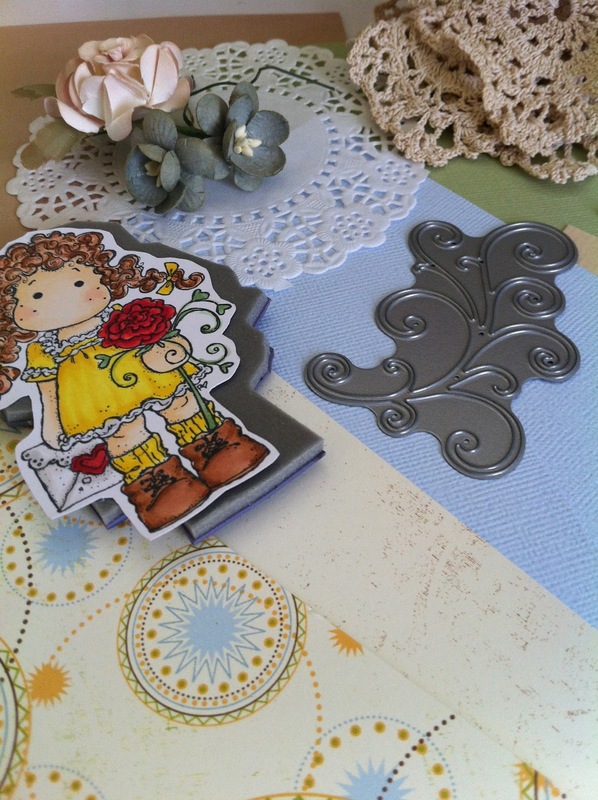 Tilda Sending Love Letters is my favourite Magnolia Ink stamp so far and just perfect for a special Birthday Card. My friend Linda is celebrating her 50th Birthday this weekend so this is for her. 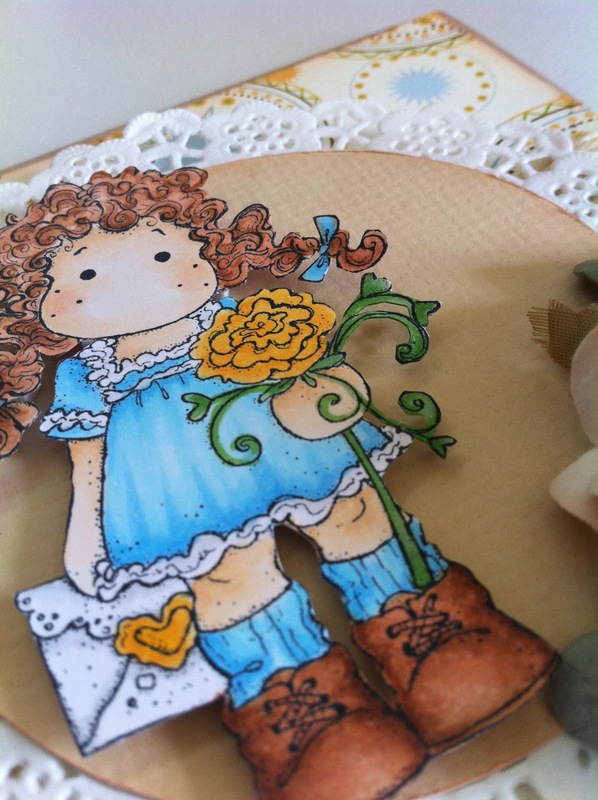 Normally I colour my image first then create my card. However I've decided to make my card first this time. I still pull everything out of my stash and have it all around me while creating though! 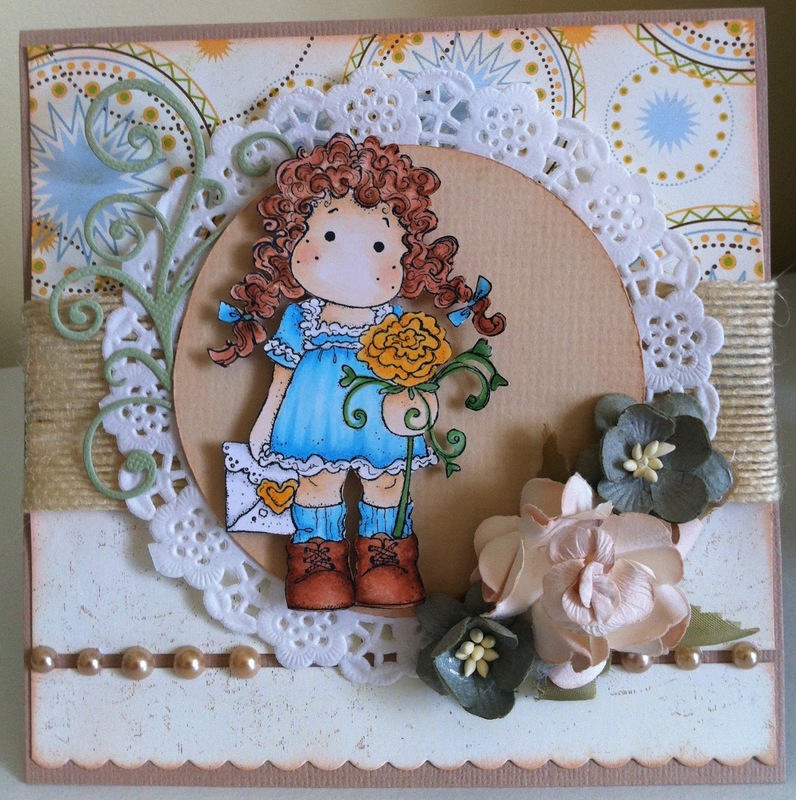 My finished card and I love it. Papers are from the Jackson Lodge Collection by Collage Press. 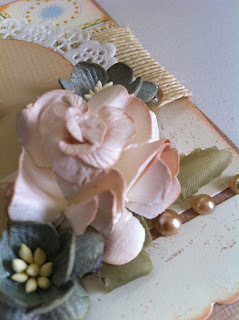 Pearls are "Chino" from Kaiser crafts and I used a Die-Namics die. I am in love with this die at the moment.... think I need to add a few more to my collection! Flowers were bought from the fabulous Julie at Creations in Paper. My first creation in my newly made over craft room. Hope Linda likes this as much as I do! 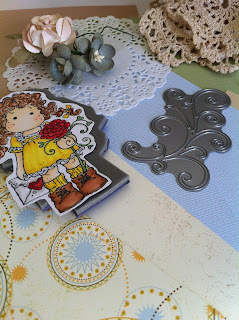 Creative Inspirations - Challenge 160 - Anything Goes! A beautiful card, I'm sure your friend Linda will love it :) I really like the way you've added the pearls too! I always make my card before I colour in, can't seem to work the other way around! Another beautiful card Michelle! Looks like you had a creative weekend!